If you want to successfully housebreak your puppy, do not consider the process as training, but as management instead. Training is teaching your dog a new behavior, such as making him lie down when you say “down”. Management is managing your pet’s environment or how you handle him to achieve a desired result, such as keeping dangerous items out of his reach or confining him to his crate. 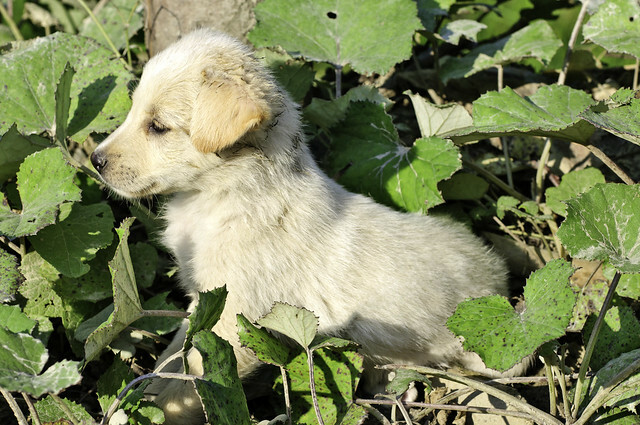 Just like human babies, young pups (8-12 weeks old) cannot sense when they are about to eliminate. For this reason, you cannot tell your pet that he is wrong when he has an accident in the house, because he won’t be able to understand you. Your puppy will not associate anything you say or do with his mistake, because he does not know what he just did. Therefore, any type of punishment will be interpreted as illogical anger. From his point of view, you will become someone to fear or avoid. When you start housebreaking, you want to create a habit for your puppy, in which he learns through experience where his toilet is. Once he has developed the habit of eliminating outdoors in particular, as he begins to recognize where he is about to pee or poop, he will go to the area you have chosen. 1. Keep your puppy in a crate that is big enough for him to move around in, but small enough so he cannot eliminate in one end and sleep comfortably in the other. 2. When he wakes up, open the create door, let him walk out, then pick him up and carry him outside. Do not let him walk to the door as he might pee somewhere along the way. 3. Put him down in the spot where you want him to eliminate. 4. Wait with your puppy, but do not speak to or play with him so as not to distract him. 5. When he pees, shower him with praise. 6. Wait for him to poop. Praise him plentifully again when he does his business. 7. Play with him for a bit or take him back inside. 8. Once inside, you must keep an eye on your pup 100%. Confine him to the room where you are and give him access to water. Interact with him or let him relax. 9. Put him back in his crate to nap after 20-50 minutes. 10. If it is time to eat, give him his meal in his crate. 11. Remove the meal after 20-40 minutes and take him outside again. Most small puppies need to eliminate 20-40 minutes after eating. 12. Repeat steps 3 to 6. Do not bring him indoors until he has done his business. 13. Once you’re back inside, you can put him in his crate for a while, depending on his age.